Sometimes all it takes is a free cup of coffee to make someone’s day. That small gesture goes a long way, especially when delivered to a group of folks on the cusp of their busiest time of year. Which is why Nov. 8 will mark the 16th annual Wake Up Breck! where you can snag a free cup of joe and a mug at select coffee shops starting at 7 a.m. This day of appreciation rewards early risers and comes on the cusp of opening day, which is rife with anticipation, excitement, and for those in the know, a lot of hard work. Anyone who has lived and worked in a ski town understands that life at 8,000 feet isn’t always face shots and après. 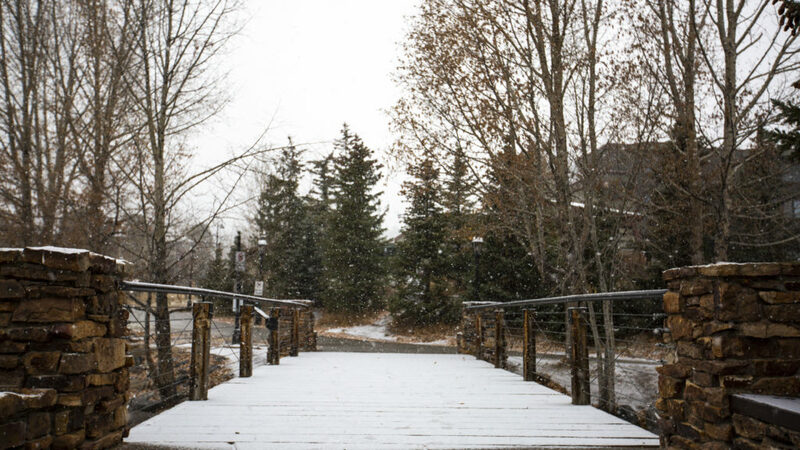 Catering to guest needs is a high-energy task and many Breck residents work two or three jobs to afford their mountain lifestyle. Not that they’re complaining. It’s actually the opposite—these people embrace their choices with the gusto of those who follow their dreams. But even dreamers appreciate a little affirmation every once in a while. 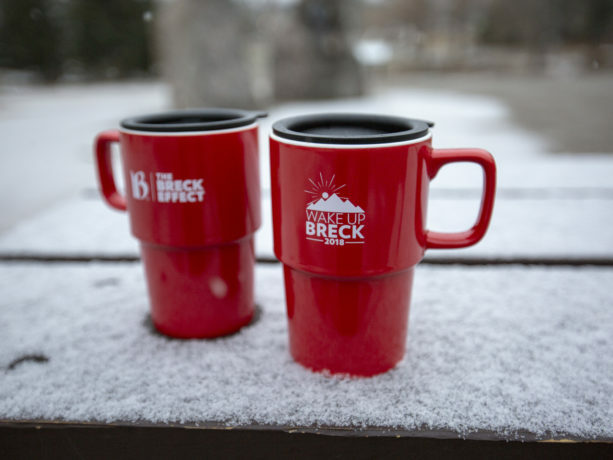 hich makes the free coffee and mug doled out at the annual Wake Up Breck! day all the more meaningful. Sound like small potatoes? Then you don’t know ski bums. This is a breed of folk who thrive on kindness and karma. They’re the ones serving your entrée, shuttling your luggage, and fitting your ski boots. They’ll point out the stashes on the mountain and make sure you sign up for the right lessons. But Wake Up Breck! isn’t just for them. It’s for anyone who flocks to Breckenridge in that short period in November between peak leaf peeping and the firing up of the bull wheel. You know who you are. You’re coming for the restaurant and lodging specials, the invigorating weather, and the screaming deals on last year’s gear, to name a few. You’re also coming for something less tangible and more ephemeral: To tap into the mountain town spirit. Those of us who aren’t lucky enough to call Summit County home envy the access of those who choose life in the high country. From our vantage point, the mountain town folks live in a perpetual vacationland. They have “powder clauses” written into their work contracts and spend lunch hour spinning laps on the T-bar. We covet their idyllic life and fantasize about our own relocation to somewhere above 8,000 feet. Whether our perception reflects reality is up for debate. The mountain town residents sure seem really happy. And they also work their tushes off. Which is why Wake Up Breck! is such a good idea. The effort is a huge high-five to the men and women who keep Breckenridge running. It’s a pause before the chaos of opening day and early season. It’s one more way to count down to winter. And, after all of that, it’s a free cuppa joe. Who can argue with that? 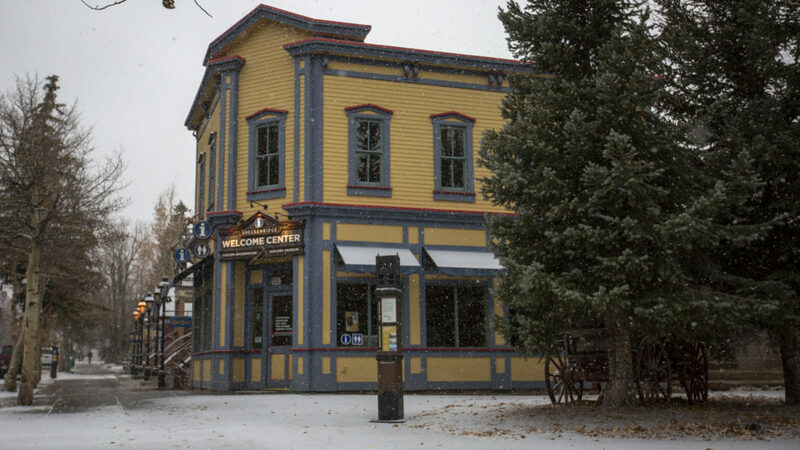 On behalf of Epic Promise, this year Breckenridge Ski Resort will be collecting cans of food and non-perishable items at all coffee shop locations during Wake Up Breck! Participants are encouraged to bring ‘Cans for Coffee’ to the event for donation to the Family & Intercultural Resource Center (FIRC) local food bank. Vail Resorts Epic Promise is committed to helping our resort communities thrive by partnering with critical local organizations to make an impact, and the new ‘Cans for Coffee’ initiative offers a great way to give back locally in Summit County.